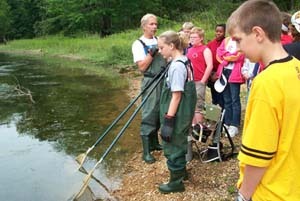 The Hancock Biological Station provides a program of hands-on science for the region's middle and high school students. 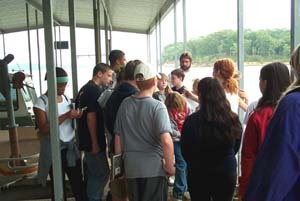 Typically, visiting students are divided into small groups and rotate between units on a variety of subjects, including water chemistry, fisheries, plankton, wetlands, amphibians and reptiles, etc. The specific units are determined for each group based on grade level and requested subject matter. 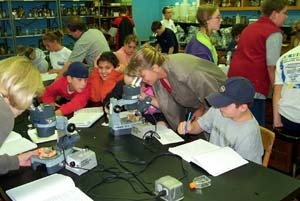 We also provide special and more focused sessions for Advanced Placement classes. 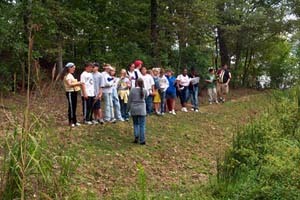 All visiting groups take advantage of faculty and graduate student expertise. Availability of programming is limited and arrangements for class trips to HBS must be made at least one month in advance. For more information and scheduling, contact Gerry Harris.